Ireland has one of the best education systems in Europe. Irish higher education institutions are widely recognized for excellence in many disciplines. Ireland is recognized as an international location for high quality scientific research. Ireland is an English speaking country. Ireland’s emerald landscape and its people are among the most enriching reasons to study in Ireland. Also Ireland’s landscape provides a rich environment for the many outdoor leisure pursuits for which it is famous. Ireland is a highly developed democracy with a modern economy. The new government rules allow students to stay back for 6 months on declaration of results to seek employment. Once a student gains employment, the student becomes eligible to apply for Green Card/Work Permit. 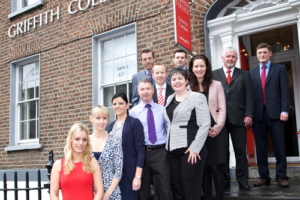 Griffith College is Ireland’s largest independent 3rd level institution with locations in Dublin, Cork and Limerick. We offer internationally recognised postgraduate and undergraduate degree programmes, complemented by a wide range of professional, short term and corporate training educational solutions. 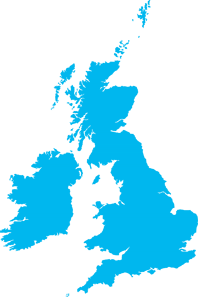 We are a designated educational institute of Quality & Qualifications Ireland (QQI). Many former students have gone on to enjoy distinguished careers in Ireland and internationally, in fields as diverse as accountancy, business, computing, design, law, media, music and drama. With over 7,000 students at its campuses in Dublin, Cork and Limerick, Griffith College is the ideal choice for students seeking a strong education and a vibrant college life. Each campus is centrally located, meaning you have a wide variety of amenities and facilities on your doorstep, and with a large selection of clubs and societies, from football and basketball to film and photography, there are plenty of ways to get to know your fellow students! We currently have 77 different nationalities studying with us and this number continues to grow annually. International students have contributed greatly to the success if the College, both academically and through sporting and cultural achievements. For a successful visa application the following documents should be submitted at minimum. Please note that other supporting documents maybe required and students should contact the local Irish Embassy or Consulate to obtain information on the full documentation required or click here. Evidence of previous work experience, if any.